The game night at the Goethe-Institut is back!! 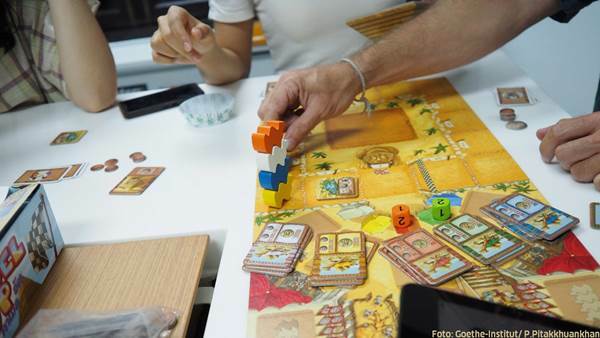 Board games are an important part of German culture and the Goethe-Institut Thailand once more joins forces with Ninive Game to bring you another entertaining evening of board games. Please come and join us for a fun-packed evening with the chance to make new friends. Awaiting you are different versions of “The Settlers of Catan” but also Risiko, Dixit, Colt Express (Game of the Year 2015) and more than 50 others!